Conventional wisdom has it that Peter Reid should never have been a footballer. He was built all wrong, he was too small, he was too slow, too stocky, too injury-prone. You name a disadvantage and he seemed to suffer from it. Yet, a footballer he most certainly was. 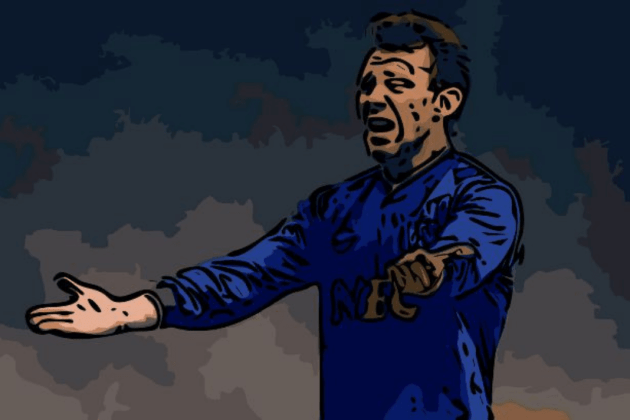 He became perhaps the most important cog in the wheel of Everton’s success in the mid-1980s and in doing so went on to achieve more than most in the game. He certainly achieved more than he himself was tipped to just a few years earlier when he was a seemingly permanent fixture of the Bolton Wanderer’s treatment room. 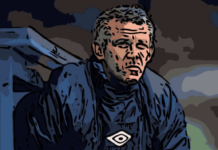 Born in Huyton in 1956, Peter Reid grew up a mad Liverpool supporter and indeed spent many of his formative years following the Reds home and away. Long after he had become a footballer himself, Reid could be seen on the terraces wherever Liverpool were playing if he himself was not in action. In fact, Reid attended the FA Cup finals of 1974 and 1977 bedecked in a red and white Liverpool scarf. How ironic then that he would go onto to become one of the most revered players in near-neighbours Everton’s history. Joining his first club, Bolton Wanderers, from school, Reid would go onto play more than two hundred league games for the Trotters over the next eight years. It was this period that established Reid as a ball-winning midfielder, and although he was often tipped for a move, most noticeably to Arsenal in 1980 following the Gunners’ sale of Liam Brady to Juventus, nothing ever materialized. At Burnden Park, Reid suffered the first of a long line of injuries and spent some considerable time on the sidelines. Reid damaged his medial ligaments and partially tore his cruciate following a collision with Everton goalkeeper George Wood, that saw him out of first team action for the better part of a year. Bolton’s form was erratic during Reid’s time at the club, and although promotion was achieved in 1978, the club was relegated again in 1980 and Reid’s managerial mentor, Ian Greaves, was summarily sacked. This made up Reid’s mind and he asked for a transfer. His request was turned down and as he refused to sign the new contract offered to him by the club, he was banished from the first team squad. A long stand-off between club and player ensued before Reid finally returned to first team duty. However, no sooner had he been reinstated in the team than injury struck again. This time Reid suffered a broken leg courtesy of a challenge from Barnsley’s Ian Evans. Once back in the team following his latest setback, Reid again began to be linked with a possible move away from Bolton. In late 1982, Jack Charlton was managing Second Division Sheffield Wednesday, and he made overtures to bring Reid to Hillsborough. A deal looked like going through, but just as the papers were being prepared Reid accepted a phone call from a rival manager. The man on the phone? A certain Howard Kendall. Although having grown up a devout Koppite, Reid had no qualms about signing for Everton and for Kendall. Sold on Kendall’s visions for the Goodison Park side, Reid agreed on a three-year contract without hesitation. Right away Kendall and Reid were a match made in heaven. Both dedicated and passionate footballing men who shared the same drive and ambition, the two hit it off immediately. Kendall was at the time a young manager operating in his first job in the top-flight, and he knew he needed some experienced heads who could help bring along the youngsters in the Everton team. The fact that Reid was perceived at this stage to be injury-prone meant that Kendall was seen to be taking a risk on signing Reid, but at just £60,000 it was a calculated risk well worth taking. A steady first season saw progress made and the quarter-final of the FA Cup reached as Everton bowed out at Old Trafford in a cracking game. It was the following season, 1983-84, that really saw the seeds of recovery start to shoot around Goodison Park. The winter of 1983, however, was bleak for Everton and Kendall, and at one stage the end of the line seemed imminent with lower-mid-table and home gates dropping to the 13,000 mark. A good run after Christmas in both domestic cup competitions turned things around and Everton secured their first Wembley final for seven years courtesy of a League Cup Final clash with neighbours Liverpool. Reid’s battle against Souness on a wet Sunday afternoon in North London was just one of the highlights of a special day for Merseyside football. A match that Everton felt they could have and should have won, ended in a stalemate and the two sides had to do it all over again four days later at Maine Road, Manchester. 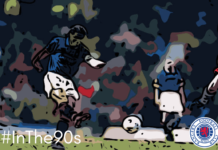 This time Liverpool perhaps had just a little more guile than Everton, and a solitary goal scored by Souness was enough to settle the spoils. Reid, Kendall and Everton, in general, used this experience of defeat to spur them on and an FA Cup semi-final victory over Southampton a month later saw them back at Wembley for the final against Graham Taylor’s Watford side. This time there was to be no final disappointment, as Everton prevailed by two goals to nil and so secured their first major trophy for 14 years. By now Peter Reid was established as one of the best central midfield players in the country. He was unfortunate perhaps to be unfairly labelled by some as ‘a poor man’s Bryan Robson’, but it was true that both men shared certain characteristics and traits of play. Both were ball-winners who could play a bit, both were as brave as a lion, and both were an inspiration to those around them. Some might also say that both were injury-prone. The 1984-85 season would see both men, Robson at Manchester United, and Reid at Everton, possibly at the very peak of their games as they pushed their sides on to battle for the game’s biggest prizes. That 1984-85 season has gone down in Goodison folklore as the greatest ever in the club’s long and illustrious history. Finally stepping out of Liverpool’s shadow, Everton were simply unstoppable that season and after first hitting the top of the table in October, went onto to win the league by 13 points. With Reid driving them on from the centre of midfield, the goals of Graham Sharp, Adrian Heath and Andy Gray, the artistry and culture of Trevor Steven and Kevin Sheedy, and the defensive resilience of Kevin Ratcliffe, Derek Mountfield, Pat Van Den Hauwe, Gary Stevens and Neville Southall, Everton swept all before them. The European Cup Winners Cup was added on a balmy May evening in Rotterdam following a 3-1 win over Rapid Vienna, and only a super-human effort by Robson’s Manchester United side in the FA Cup Final prevented the Toffees from completing a unique treble. Ironically, Manchester United possibly played better in that game once they had been reduced to ten men following Kevin Moran’s dismissal for a foul on Reid. Incidentally, Reid argued long and hard with referee Peter Willis on behalf of Moran but to no avail. The next two seasons saw Reid and Kendall driving their Everton team on in head-to-head battles with Liverpool for the league title, with Everton’s 1987 triumph making up somewhat for the ‘double’ heartbreak of finishing second in both league and cup to the Anfield men in 1986. By 1988, however, things were changing for Reid and for Everton. Once again he had lost his managerial mentor as Kendall had moved on to manage Athletic Bilbao and Kendall’s assistant, Colin Harvey, had taken over the Goodison hot seat. Afforded his first role in coaching, Reid was appointed player-coach upon Kendall’s departure. Yet, it wasn’t a qualified success. Colin Harvey was a great coach but perhaps in hindsight, not the right choice to succeed Kendall as manager. As Liverpool continued to push on as ever before, Everton slipped back a little in comparison to the great strides they had made in recent seasons, and with Reid’s influence on the pitch beginning to wane, Reid left the club in January 1989 and signed for Queens Park Rangers. Now aged 32, Reid was signed by his ex-England playing colleague, Trevor Francis, who was player-manager at Loftus Road. Reid’s own England career had spanned three years from 1985 to 1988 and had spurned 13 caps. A member of the England side that had reached the World Cup quarter-finals in 1986, Reid had played in the infamous defeat at the hands of Argentina and had been criticised in some quarters for not getting a tackle of any sort in on Diego Maradona before he scored his second goal. Back to 1989 and by his own admission, Reid was happy enough at QPR and envisaged seeing his playing career out there. What he didn’t expect, however, was to receive another phone call from Howard Kendall. Next time we will look at Reid’s reunion with Howard Kendall at Maine Road, the culmination of his playing career, and his move into management.